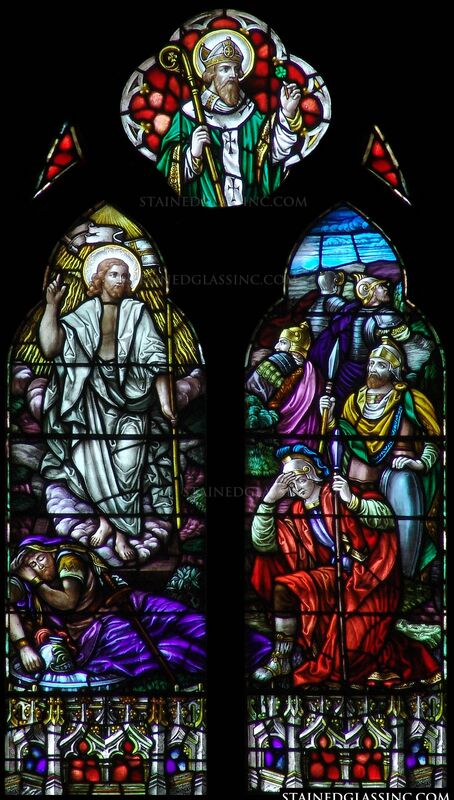 This sublimely beautiful and elegant stained glass panel shows the dramatic scenes of the resurrection of Jesus Christ, using a brilliant array of colors, shading, and texture skill by the stained glass artists from Stained Glass Inc. 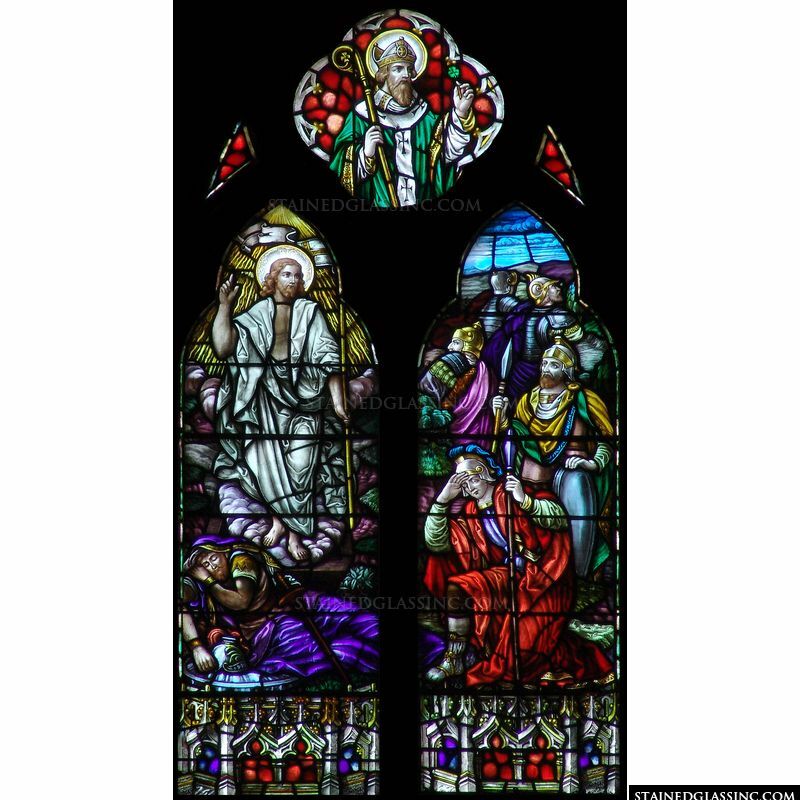 They have brought a pivotal moment in the Christian faith to life and given it emotion through skilled stained glass practice. 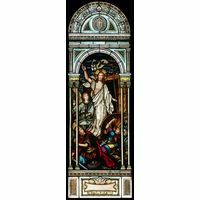 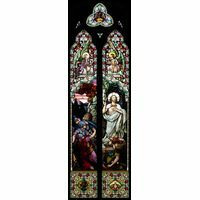 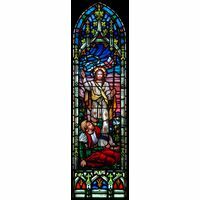 This is an excellent addition as a stained glass window or stained glass hanging for a cathedral, church, or home.